Plant Based Hair Repair Serum for dry, damaged, frizzy and color treated hair. 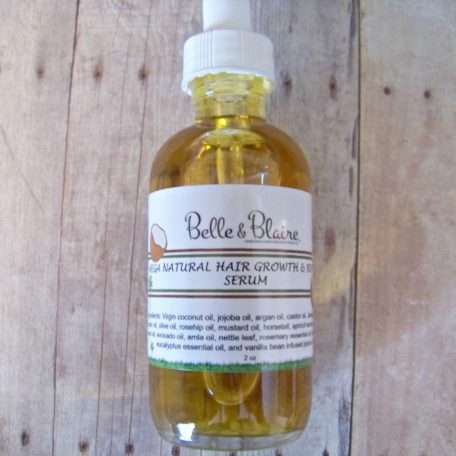 This unique hair and scalp oil will restore and hydrate delicate, dry, color treated and damaged hair with our 100% natural and organic oil blend. The oil combinations in this formula will leave your hair smoother with more moisture, shine, and a beautiful glossy mane without weighing it down. 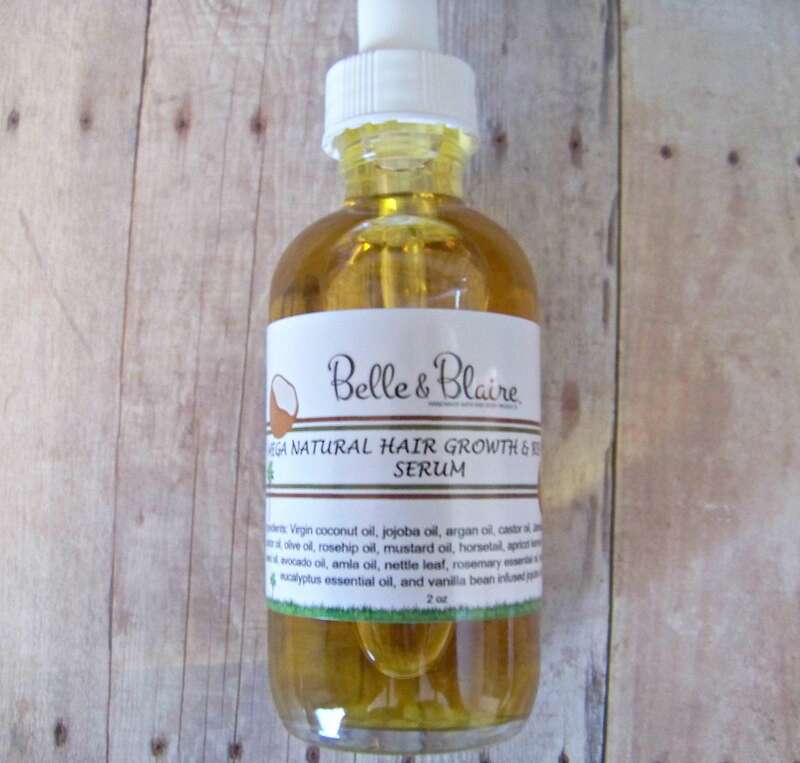 This oil was formulated to stop excessive shedding and breakage in its tracks and help with regrowth and healthy beautiful hair. Recommended for slow growth, hair shedding, dry, damaged, frizzy and color treated hair. How To Use: As a pre-shampoo treatment, apply 1 to 3 dropper full of serum into your palm and distribute throughout your hair and scalp. After an hour wash your hair as normal. Use once a week for normal to dry/frizzy hair. Use two to three times a week for very dry, damaged and color treated or relaxed/permed hair, and at least once a week for dry, damaged or frizzy hair. You will see positive results! Ingredients: Virgin coconut oil, jojoba oil, argan oil, castor oil, Jamaican black castor oil, olive oil, rosehip oil, mustard oil, horsetail, apricot kernel oil, hemp seed oil, avocado oil, amla oil, nettle leaf, rosemary essential oil, tea tree oil, eucalyptus essential oil, and vanilla bean infused jojoba oil. Do not use if you are pregnant or nursing as essential oil is contained in this product. Please make sure that you are not allergic to any of the ingredients listed in this product before purchase. It is also recommended to do a patch test by applying to an inconspicuous area and wait 24 hours and check for any allergic reactions or irritations.